I realize this is....unofficial? Unoptimized? But if it does represent the total performance of ray tracing on radeon VII, it just solidifies the point of how much of a leap inperformance rtx graphics cards are, even if some are unhappy with the current performance. It's official in the sense that AMD now says their cards support DXR. They actually worked early in the Windows insider releases but then Microsoft added some kind of "check" that required the vendors to officially list which cards are supported. 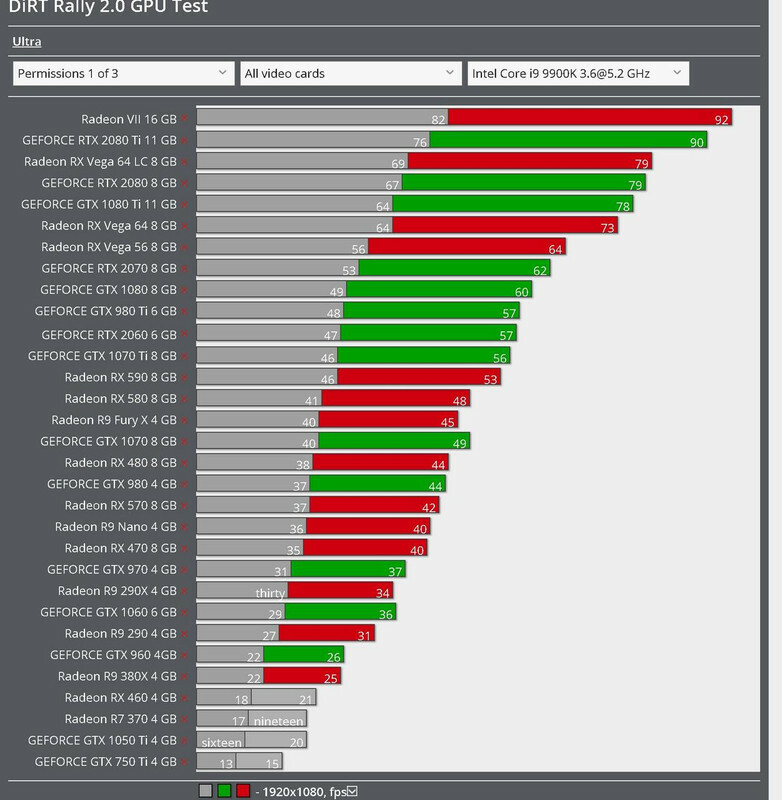 I think we'll see better performance in the future but I doubt any of the Vega cards will hit RTX counterpart numbers. It makes me glad to see that AMD can pull away in at least one game that I've been considering, but unfortunately it looks to be more of a DiRT Rally 1.5 which has been heavily monetized. Fallback layer is for debug purpose only or at best for small amount of works. It is not suitable nor meant for general extended use or complex computations. It's kind of pretty good for gaming and fantastic for content creators considering the price. 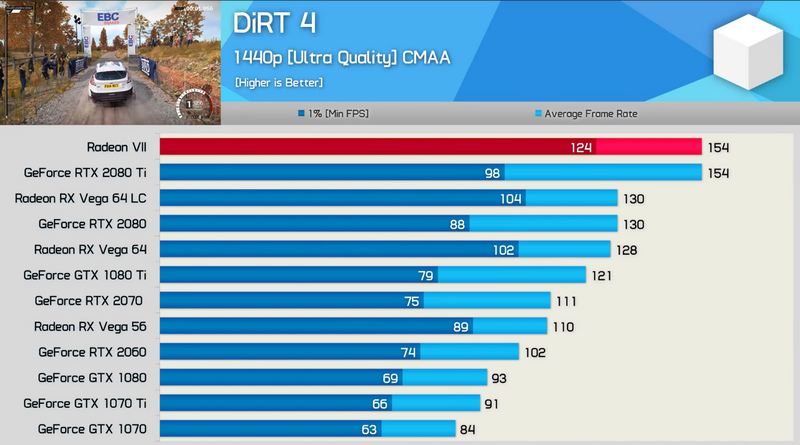 Dirt 4 also performed better on amd hardware. So how Radeon 7 runs head to head with 2080Ti? go down the rabbit hole? Same can be said of the 1080Ti . Yep, lets continue to post arbitrary benchmarks with no discourse on why the results are the way they are. Saying it's okay for content creators is a bit of a generalization. It's good at certain content creation workloads and worse at others. Even content creators have their limits as to the amount of noise coming from their desktop computer. Just undervolt it and it is silent or invest $50 in those silent noctua fans like they did in the RTG article. 16 GB and 1 TB/s for $700 is gold for content creators vs. NVidia's alternative for $2300. In a business they take the product as-is and IT departments don't overclock or undervolt components. Edit: Nvidia's alternative for content providers costs about $900 - Quadro RTX 4000. However they could also use the RTX 2080 or RTX 2080ti as they also perform quite well in content provider product review test in Feb. 2019. As does the Radeon VII, while also performing better. There is a perfectly good reason for that. Uptime is king in any 24/7 environment. And you don't trade anything for stability. Any speed and efficiency concerns go out of the window when your GPU throws an error after few days of calculations. Hopefully the review I linked will include results from the VII in the future. Anandtech review does display content creation tests for apples-to-oranges comparison (diff cpu, memory) with link above. Not sure but VII has ECC memory?